La Montanosa Villas is a division of Hondon Valley Homes, a real estate agency in the Hondon valley, Spain. 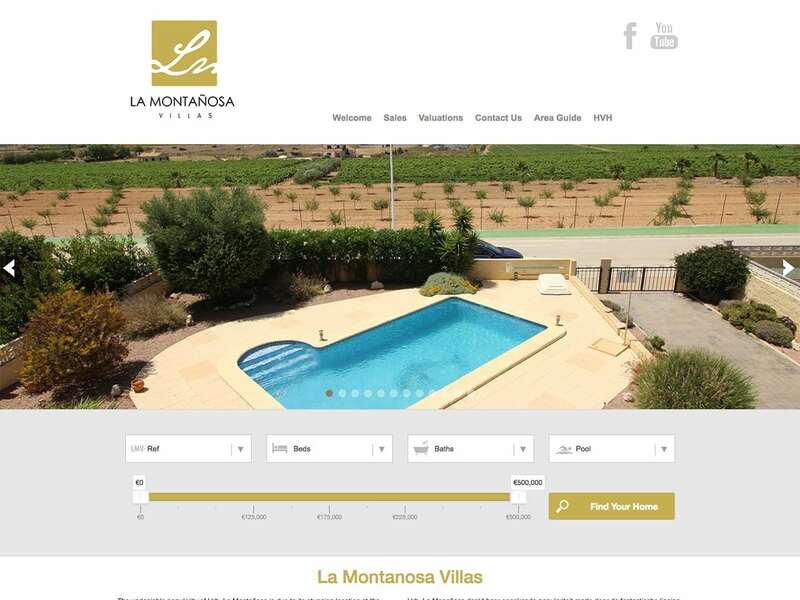 After seeing the success of their first website, they wanted another website built to target just property in the La Montanosa area. As photography is an important part of the business and their client base are from a mix of countries and don’t all speak English. It was decided that the new website should have a main focus on images with as little text as possible, the result is a graphically pleasing website making full use of images and icons, and giving their excellent property photos pride of place. Once the design was complete and approved, we built a custom template for the website along with an advanced filter search feature to make navigating the website easy regardless of age and language.